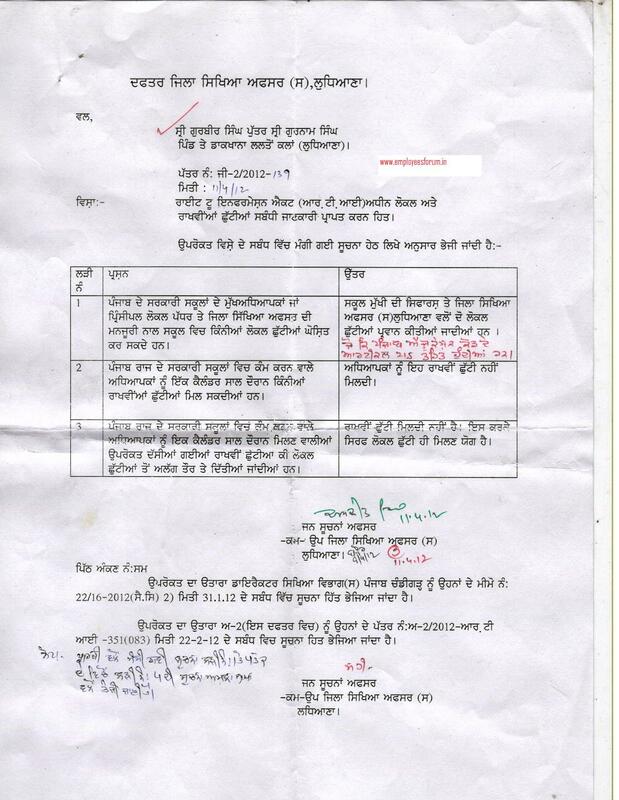 MR. GURBEER SINGH HAS SENT US A LEETER REGARDING RULES UNDER WHICH LOCAL & RESTRICTED LEAVES ARE AVAILABLE TO PUNJAB EDUCATION DEPTT. EMPLOYEES. very useful letters, all thanks to their users ll over state.